If today’s most used social media platforms were a family, LinkedIn would be the attention-starved middle child. While marketers consistently praise more successful networks like Facebook, and audiences flock to cool new platforms like Snapchat, LinkedIn doesn’t seem to get much love. Until now… B2B marketers have tapped into the LinkedIn platform and found absolute success. 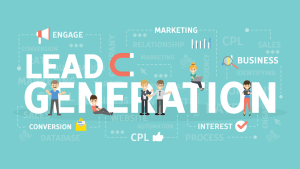 But, as in any situation, there are a few things you need to know about LinkedIn ads that generate leads, before you delve into the realm of advertising. According to LinkedIn, editing for Direct Content is in Beta testing, however we are yet to see this. They have noted they do not have the functionality for editing sponsored organic posts. It’s actually this inability to edit your content that’s the most frustrating, imagine the situation where you have the perfect existing post in your feed to sponsor but need to change the URL . You can’t do this. The only way around this currently is to create the exact same post with your new URL, post it to your feed and then sponsor it, which means you’ll end up with a duplicate post on your company page. Sure, you could delete the first version but you’ll lose any social interaction and analytical information with it – as well as pulling it from the feeds of those who have shared it. Creating an ad that won’t appear in your feed has its limitations. If you want to run multiple variations of the same ad but don’t want to annoy your company followers by clogging up their feed, or indeed your company page, there’s an answer for that: Direct Content. What LinkedIn hasn’t told you is that when selecting this option, you sacrifice the character count you get with a standard sponsored post – in fact, you get just 22% of the standard LinkedIn character limit with direct content and yes, that includes the URL. Direct content also has to be reviewed by LinkedIn – whereby creating an organic post and sponsoring it doesn’t – so don’t expect your content to go live instantly with your campaign. LinkedIn has very limited options when it comes to defining when you’d like your ads to be running. Yes you can set a start and end date – or ask LinkedIn to run the campaign indefinitely (until your budget is hit). With a professional network however, wouldn’t it be useful to have the option to run your content during certain hours? Not over the weekend? Not during the middle of the night if you’re targeting users in specific time zones? If you like to hold the reigns tightly when it comes to exactly when your ads are running, you’ll be disappointed. Technically you are able to control this but it would be a manual process, whereby yours would ‘pause’ the campaign – say for the weekend – and need to ‘activate’ it again come Monday morning. If you’re running a CPM campaign tick that “Increase followers for my Company Page by adding a Follow button” box, it won’t cost you anything. If you’re running a CPC campaign however and your main goal is to direct people to your website or landing page – DO NOT SELECT! What LinkedIn fails to tell you here, is you’ll be charged for users that click ‘follow’ on your Ad, so if you want to minimise the billable clicks that don’t result in a user clicking through to your landing page, leave that box empty. Unfortunately there’s no way to turn off undesirable billable clicks that don’t result in a visit to your landing page. If you create a lead-gen form campaign, you’re really setting up a direct sponsored content campaign with a form added on. The LinkedIn user will see your ad first and will have to click through before they are presented with the form. You pay per ad click or impression, not per form-fill – so we’d recommend sticking with a sponsored content campaign that leads clickers to a landing page on your own website with a form instead. That way you can easily configure and edit your form and if users decide not to fill it out, at least they’re on your website, not LinkedIn, so you can encourage them to navigate to further around your site. Have you got any unique tips and tricks for LinkedIn advertising? This entry was posted in Lead Generation, Linkedin Advertising. Bookmark the permalink.